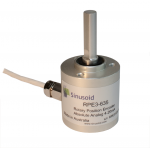 There are 6 standard models of Sinusoid rotary encoders available. Custom models are available upon request. 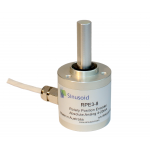 Choose from absolute analog output, absolute 4-20mA, or combined absolute PWM output and incremental quadrature output. Each of these is available with 8mm or 6.35mm diameter shaft.